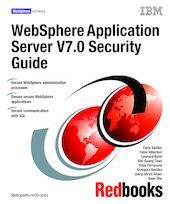 This IBM® Redbooks® publication provides the information that is needed to implement secure solutions with WebSphere® Application Server V7.0. It focuses on security for the application server and its components, including enterprise applications. This book includes administrative and infrastructure security, application security, and z/OS specifics. This book is intended for anyone who plans to secure applications and the application serving environment.